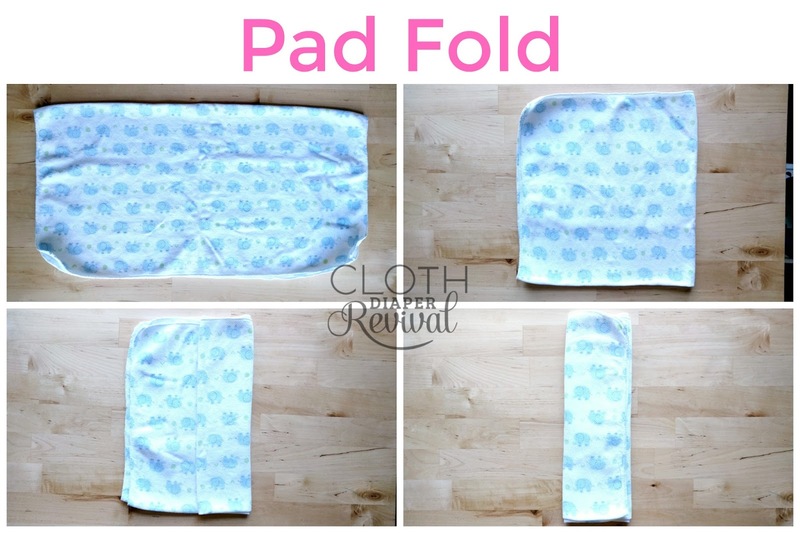 Cloth Diaper Revival: 7th Annual Flats and Handwashing Challenge - Day 3: Favorite folds for flats! 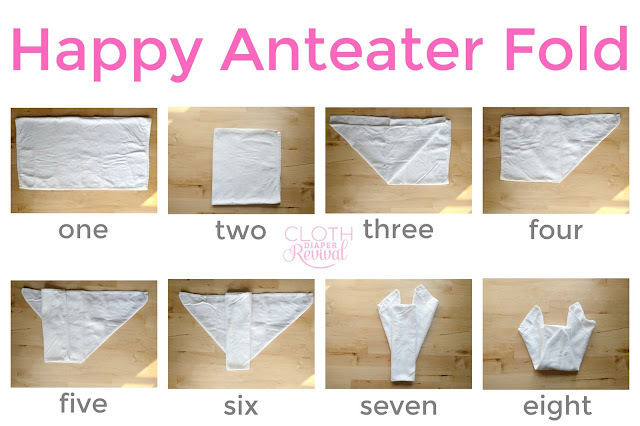 7th Annual Flats and Handwashing Challenge - Day 3: Favorite folds for flats! Welcome to Day 3 of the 7th Annual Flats and Handwashing Challenge! If you're new to the Challenge, please read more about what's going on this week as families all over the world will be diapering their babies with flat diapers and handwashing for a whole week. Today's topic is to share your favorite flat fold! What folds are working for you in the Challenge? But first a little update on how the Challenge is going for us! We're 3 days in and it's really a breeze. I mean of course it's not as simple as my normal cloth diapering routine, but the only reason I say that is the handwashing. It's much easier to throw a load of diapers in the washing machine every few days than it is to handwash daily. But more on the washing part tomorrow! The flats themselves are so easy to use and absorbent. It's really one of our favorite ways to cloth diaper, Challenge or not! Now to this week's topic, flat folds! I'm a huge fan of fun and fancy flat folds. I love searching YouTube for new folds and practicing them. A little origami with cloth diapers! It's fun! One of my absolute favorite folds for flat cloth diapers is the Happy Anteater. It's a twist on the origami fold and really just one extra step. Text instructions here. But to be totally honestly, getting a fancy fold on my wiggly, mobile 10 month old is a hard task. 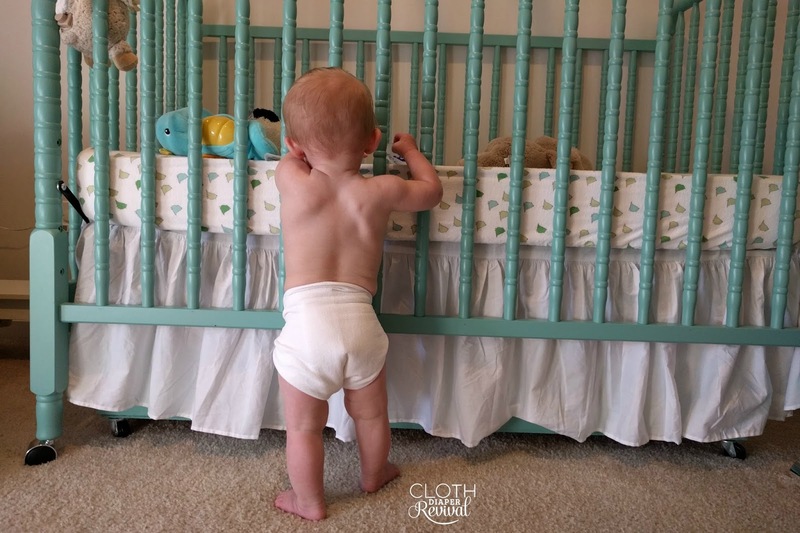 This baby does not have time for diaper changes! I need to be quick or we will both end up frustrated. So for the most part I'm defaulting to a pad fold. It's not ideal because it means I have to use more covers throughout the day when he poops, but you do what works! Text instructions for the pad fold can be found here. How are you using your flats? What's your favorite fold? If you need some ideas, you can find more flat cloth diaper folds here.